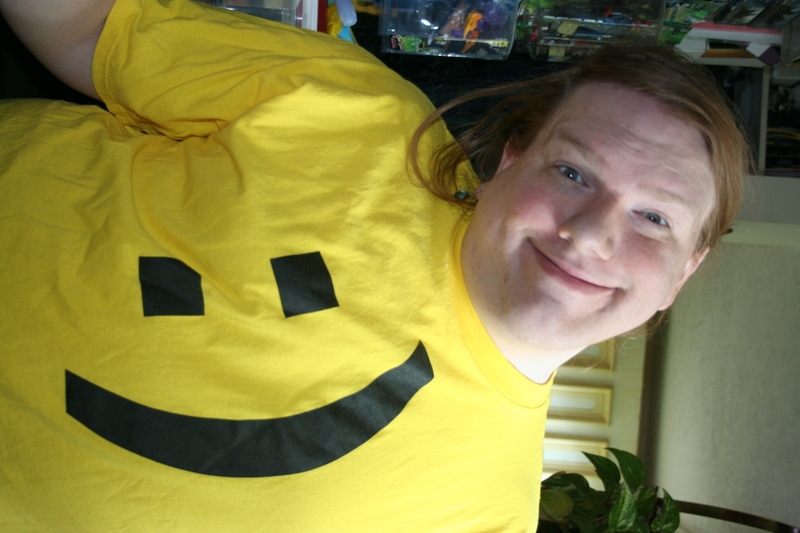 Skotte used to claim the smiley fFace as a sigil, a sort of war banner against things that are sad and mopey. Skotte emblazoned the fFlags of attacking and defending armies in Dragon Dice with the smiley fFace. The only noteworthy graffiti Skotte ever really created was a series of smiley fFaces on every surface of the high school, and once on a fFew passing boxcars of a train. There’s also an urban legend that Skotte may have also put it on a sad and mopey Cori. Imagine the glee at discovering, many years ago, that there was a whole lexicon of ways to type smiley fFaces on a keyboard!